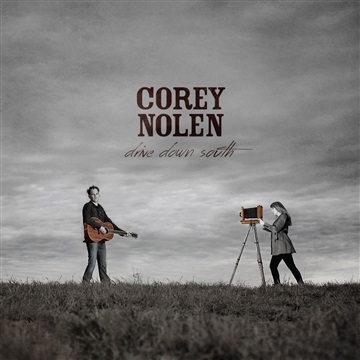 "Drive Down South" is the title of the sophomore solo album by Corey Nolen. This sampler represents 4 songs that will be included on the full 11 song album set to release on May 20, 2014. The album was engineered and produced in Birmingham, Alabama by Brian T. Murphy of The Lone Bellow along with fellow Birmingham musician and producer Brad Lyons. The album was mixed in NYC by Jeremy SH Griffith (Johnnyswim). Upright Bass: Tim Carroll Jr.
Cover photography by Corey Nolen & Erin Nolen. All songs written by Corey Nolen. Copyright Corey Nolen Music.